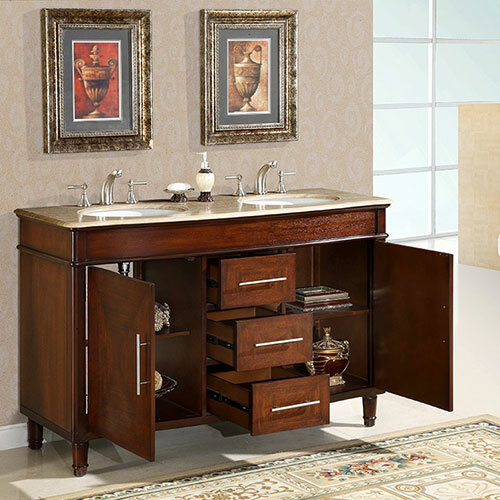 The Bertali Double Bath Vanity has a combination of traditional and contemporary elements. 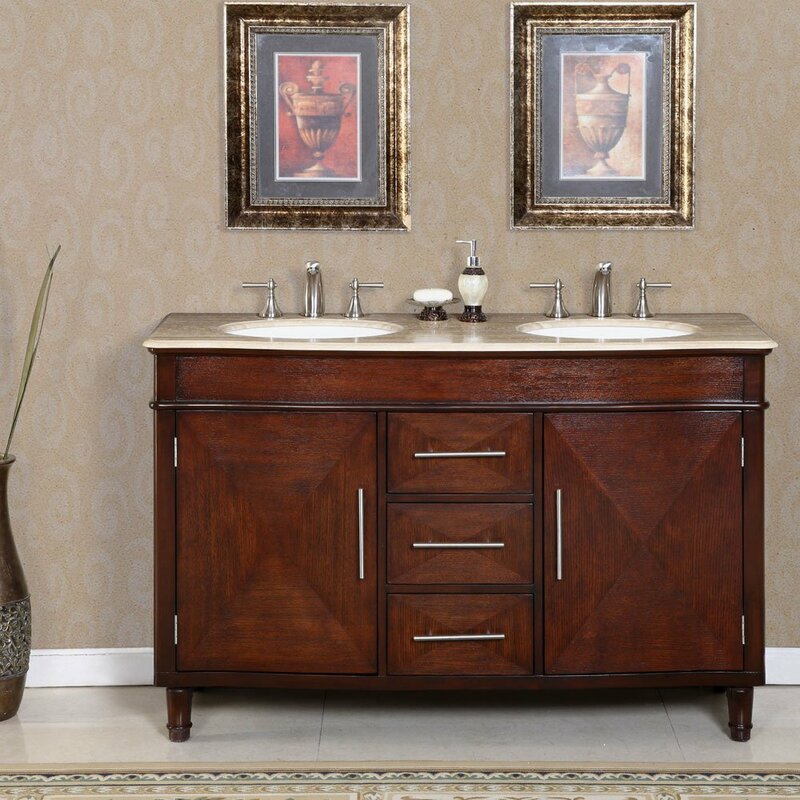 The rich multi-tonal finish looks great in almost any bathroom. The clean lines, such as on the sleek handles, give it a modern flair. 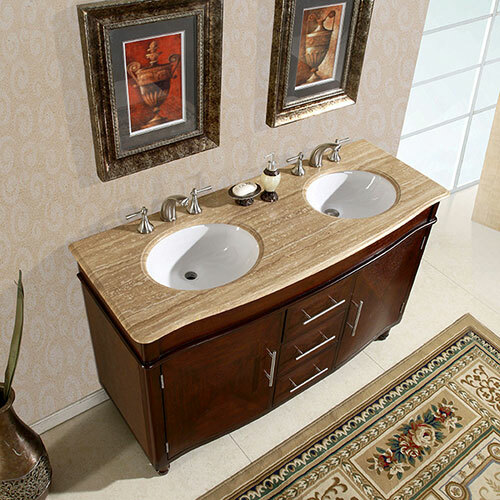 The countertop is Travertine, which offers a creamy contrast to the cabinet finish. It is pre-drilled for standard widespread faucet installation, and includes two undermount white ceramic sinks. Faucets are sold separately.